Note:- EXPORT INQUIRES FOR BULK QUANTITY IS WELCOME. Our company holds vast experience in this domain and is involved in offering Gymnema Sylvestre Leaves. We offer Gymnema Leaves that is widely acknowledged for high medicinal value. These herbs reduce sugar level in the blood and control diabetes. This natural herb is also used in various cuisines as a flavoring agent. Our range is hugely preferred in pharmaceutical and perfume industries. Common Name: Miracle fruit, Synsepalum dulcificum and Thaumatococcus Danielle. 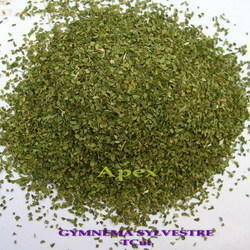 The company brings forth excellent quality Gymnema Sylvestre extract in the market. 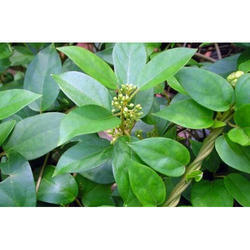 The Gymnema Sylvestre extract is manufactured with Gymnemic acid ranging from 25% to 75%. Matching up with the ever increasing requirements of the customers, we are engaged in providing Gymnema Sylvestre. GUDMAR is a very interesting Indian herb. As the name suggests, ‘Gud’ meaning jaggery or sweet and ‘mar’ meaning to end, in short, Gudmar means something which cuts off the sweet taste.